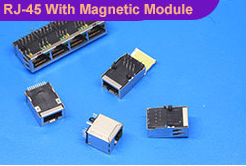 Leotronics stock a wide variety of RJ45 connectors to electronics and technology based industries in the UK and across the globe. We are proud to supply ISO-accredited, high-quality RJ45 connectors, standardised as an 8 position 8 contact terminator for twisted pair and multi-conductor flat cable. Our most popular connector range, their spring tension in the contacts ensures good data connectivity. Read the blog post on how RJ45 connectors have changed our lives. Delivering highly-versatile & reliable RJ45 connectors in the UK & worldwide.